This guide provides search strategies and recommended resources for research in Black Studies 103 with Jamece Brown. You will write a six page research paper on an African American cultural expression from the colonial period to the present, such as music, language, art, religion cuisine, etc. You must use and cite at least four sources (including at least one encyclopedia article, at least one academic journal article, and at least two primary sources) using MLA or Chicago style. 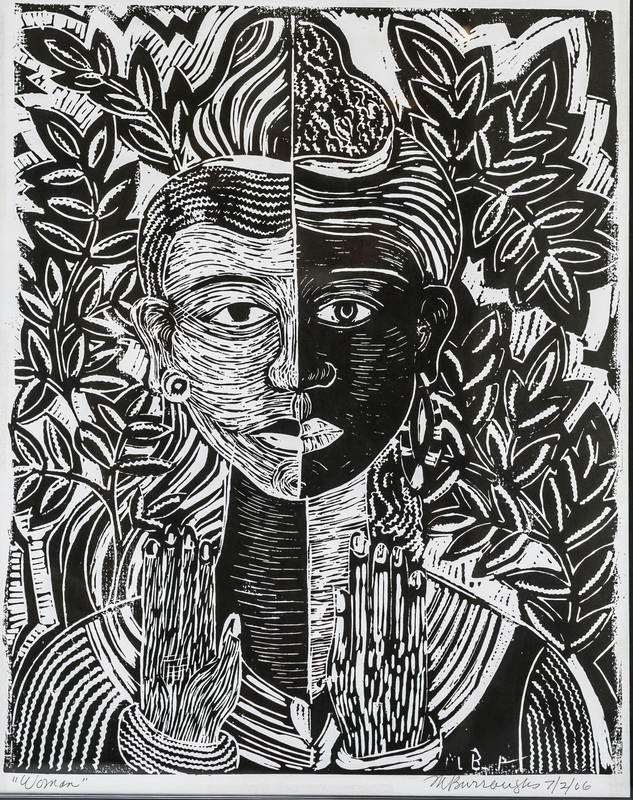 Image: Artwork by Margaret T. Burroughs, from the exhibit South Side Stories—The Art and Influence of Dr. Margaret T. Burroughs, 1960–1980 at the DuSable Museum of African American History.